Is there an “Old Age Internet”? Yes, that was the internet before social media. Social media can fill your week 24×7 with news, entertainment, networking, games, shopping and discovering new things in your city. Think of how much life has changed. Evolved marketers are moving from brand positioning to managing brand narratives. That’s a term that has been gaining a lot of traction. If savvy marketers are doing that, it’s time to ask yourself what’s going on here. Think of when you go out for dinner, an old age type dinner. You could have a sit-down banquet, where the menu and the sequence is decided for you, where everybody at the table eats the same thing at the same time – and gets up at the same time. Sounds like the way you watch broadcast TV, doesn’t it? Or you could be handed a menu à la carte. Maybe you skip the starters, maybe you skip dessert. Still very much like watching broadcast TV with a remote control. But you still operate from a menu. The term “brand management” was invented by Procter & Gamble 85 years ago. Back then, most companies described their brands in terms of their physical features. It was P&G that first recognised that the brand – as separate from the product that was manufactured and distributed – was actually a separate entity. It was a bundle of consumer benefits, something that lived, grew and died – in your mind and in your heart. It wasn’t something that you could carry, put in your handbag or weigh at the shop. But you paid for it, all the same! 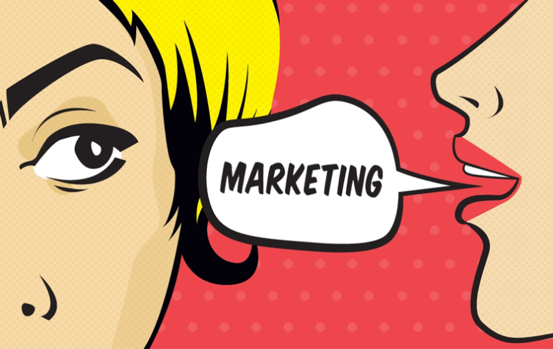 direct marketing or “one-to-one” communication rose to prominence. But both one-to-many and one-to-one brand communication involved managers crafting in detail the form and substance of their brand stories. It was still “push” messaging basically, with the exceptional creative leap or a coupon in the mailer leading to a limited form of “pull” messaging. The media remained an inert platform for marketers to play on. Consumers actively participate in creating the brand story, mainly through social media. Now we have “many-to-many” communication. Consumers today are brand-evolved; they can see through artificial claims and pretensions. They are looking for authenticity; they want to “pull” brand communication out at a time they can control: in formats they can control; in the extent of detail they can control. What’s more, they want to talk back to the brands; to their friends and to consumer activist groups. Now think of a buffet at Caesar’s Palace in Las Vegas. You’ve got a pretty much unlimited choice, you can see how your friends (and even strangers) are browsing and choosing, what they are enjoying most, how many helpings they are having. You walk in when you want, stay as long as you want. You pick and choose what you want when you want. Your plate literally has your very own individual stamp on it. The restaurant management has very little control on how you put your meal together. It’s useful to think of three kinds of media. There’s “paid media”, mainly advertising, where brand stories are told exactly how the companies want it told, where they want and when they want. Brands have complete control. Consumers can only zap or block the commercials. Then there’s “owned media” – events, websites and so on – where companies have a little more leeway. But in both these media, it is still “push” messaging. For many years, the internet delivered mainly through paid and owned media. It was the Old Age Internet. The third kind of media, the holy grail, is earned media. The most powerful media is word-of-mouth. A friend telling you about his product experience has much impact on you than a company hyping its brand story. How does a company “earn” media? By engaging actively with consumers, by rewarding them for their participation, by encouraging them to become brand advocates. In social media “many-to-many” communication gets free play in the mobiles of consumers. Now consumers are listening to marketers tell their story, framing it within their own experiences, sharing it with their friends and the whole wide world and what’s more, talking back to the brands. They expect brands to respond to their individual messages and earn their respect. When the consumers want, where they want. That’s how brands acquire “earned media”, the third type of media, created by consumers. Earned media is living, breathing, with a life of its own. It cannot be controlled by the brand manager, it has to be nurtured. This is the New Age Internet. Thus, we come to the new age paradigm of the brand narrative. Today, a brand must share its history, its personality and its attitude towards the world. What it stands for, where it likes to hang out, what sounds it likes, what it is doing for society. It needs to show that it cares not just for millions of consumers, but for each one personally. And it must accept – even welcome – anecdotes, experiences and opinions that people add to its narrative. The savvy brand manager does not try to control everything about the brand. He co-creates the brand narrative along with his consumers. That’s word-of-mouth on turbo-charge. The New Age Internet is where evolved marketers are building not just brand positioning but where they are also co-creating brand narratives with consumers.